 Shopping for an SUV has never been more complex, with the arrival of many new models of late. However, there is one gripe of earlier SUVs and it is the common fitment of the naturally aspirated 2.0-litre engine. With Malaysia’s excise duties plus annual road tax that punishes displacement, many automakers by default offer a 2.0-litre naturally aspirated engine to balance price, cost of ownership, and performance. Common feedback of having a naturally aspirated 2.0-litre engine include adequate performance and higher-than-usual fuel consumption. A larger displacement engine meanwhile fetches a higher price range and many feel the additional RM 20,000 for the circa 25 PS increment is not good value for money. 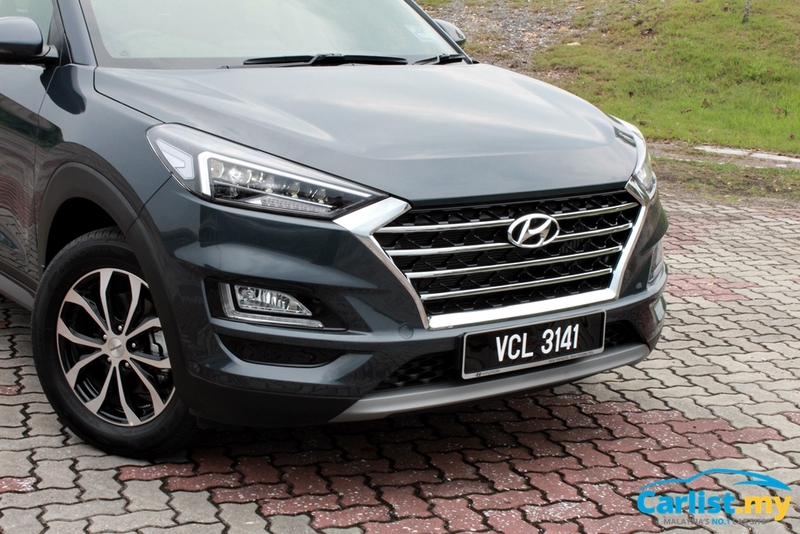 Hyundai Sime Darby Malaysia (HSDM) has introduced a turbocharged engine in the popular Tucson SUV, following the decision by Honda Malaysia to offer a downsized turbocharged engine in the new generation CR-V. Thanks to the incentives by the government, turbocharged (thus fuel efficient) SUVs are now priced as competitively as previous generation models with a naturally aspirated 2.0-litre engine.  Together with a substantial cosmetic facelift, the new Hyundai Tucson Turbo offers really good performance for those who prefer something unpretentious. Prior to the introduction of the facelifted Tucson, HSDM offered quite a wide range of powertrain options for the model. 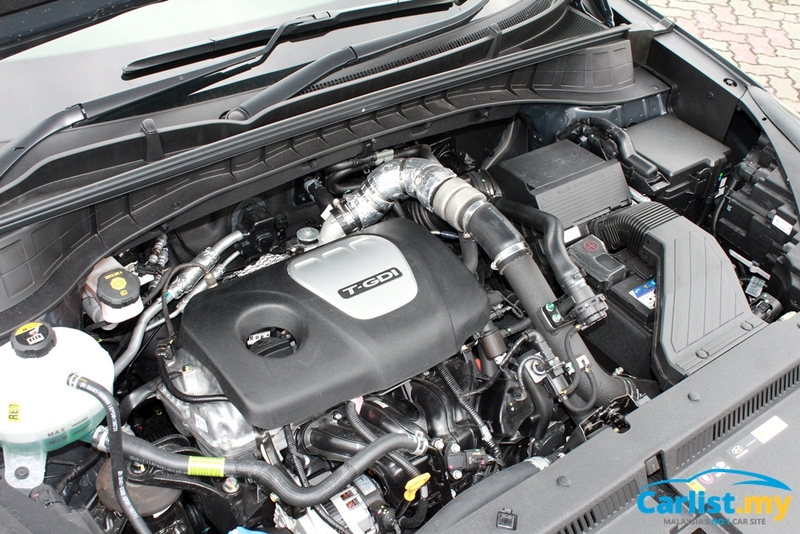 Customers could even choose a turbodiesel engine in their Tucson. The line-up has since been simplified from four different powertrain variants to just two petrol variants and power is sent only to the front wheels. 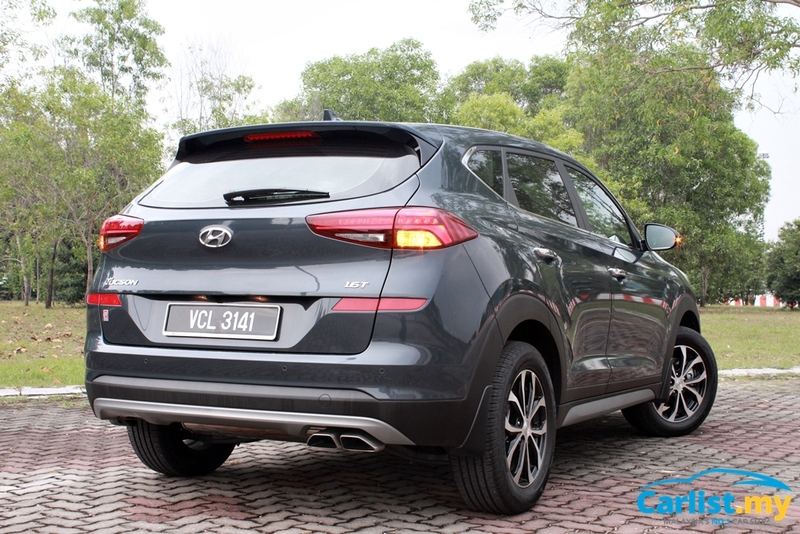 The 2.0-litre naturally aspirated engine paired with a 6-speed conventional automatic transmission is priced from RM 123,888, while our test model – the Tucson Turbo – is priced from RM 143,888. 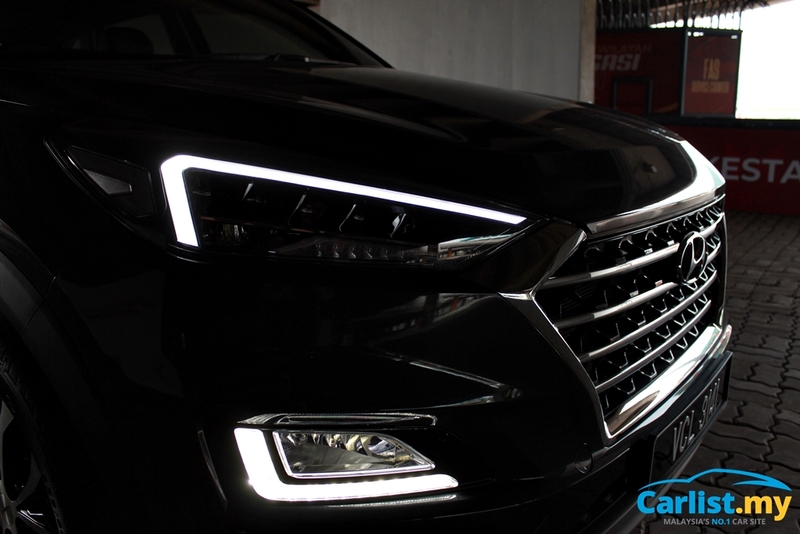 The refreshed looks of the new Tucson Turbo has made the SUV a lot sharper. Everything at the front end is new, apart from the carried-over bonnet and fenders. The Smart tail gate in the Turbo variant is not only power-assisted but comes with an enhanced proximity sensor. Should a person with the smart key stand behind the tail gate for over three seconds, the tail gate opens. No need to dangerously stand on one foot trying to activate the bumper sensor, as seen on competitors. The exhaust outlets look sporty too, with the facelift model now having the two large exhaust tips protruding outwards instead of downwards. The design of the 17-inch rims are carried over but two-tone finishing adds a form to the side profile. We noticed the tyres are from Goodyear too, with their latest EfficientGrip Performance SUV pattern. 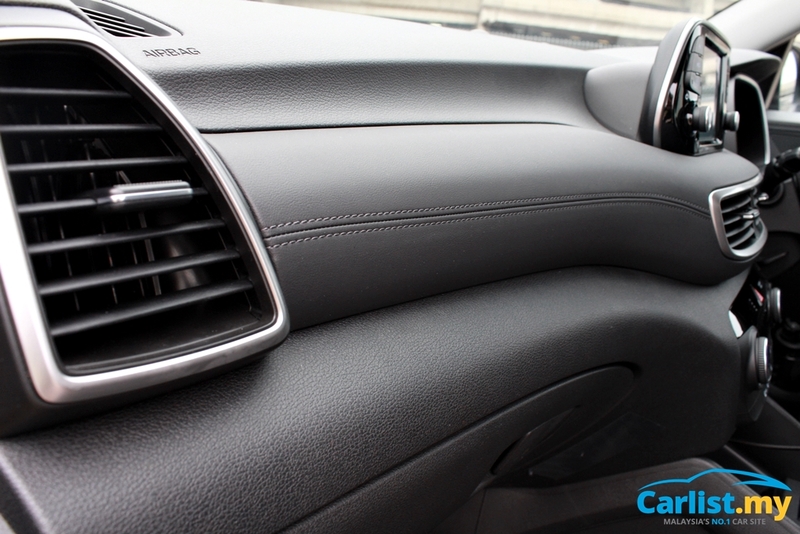 The interior of the new Tucson now follows a new styling theme is now seen in many new Hyundai models: a large floating-type high-resolution screen that allows for seamless Apple CarPlay or Android Auto connectivity. 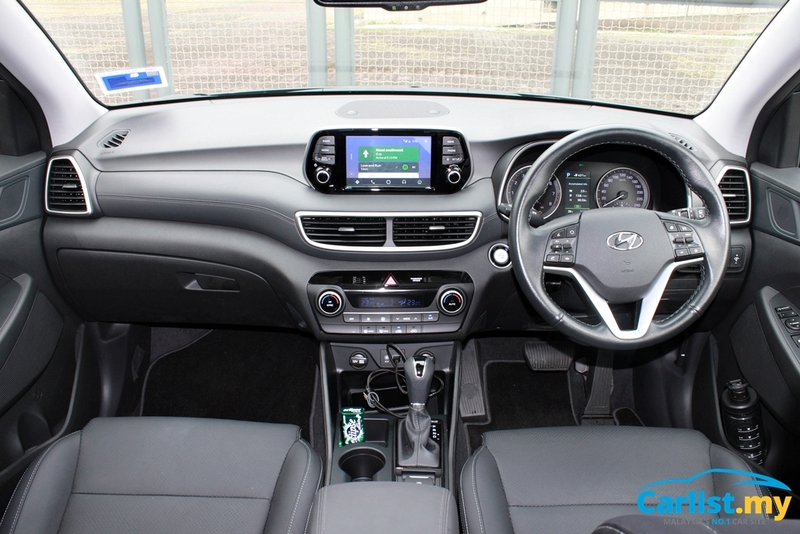 The top half of the dashboard is also new, complementing the new infotainment screen with a higher quality look and feel (soft touch leather with double stitching wrapping is only available in the Tucson Turbo). At night, the interior is uninspiringly dark though, as both the dashboard and seats are in black, with no contrasting colours to break the monotone. 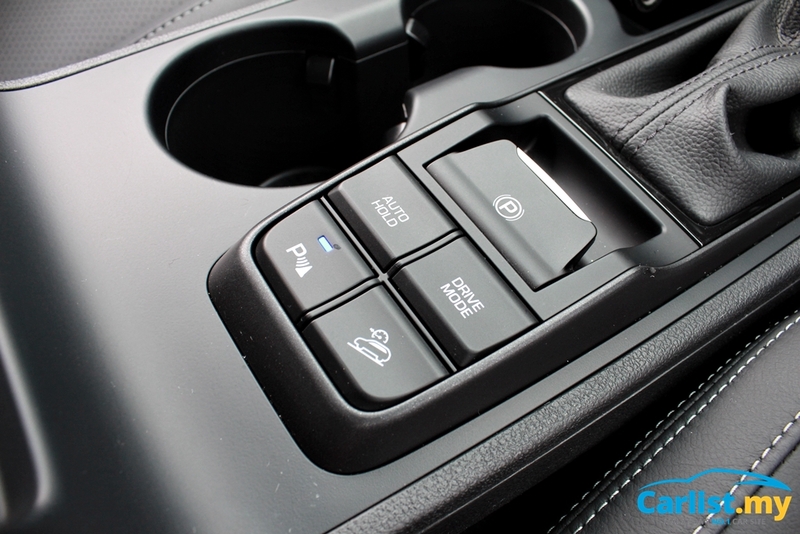 We once again sing praises for the ease of use in the new infotainment system. 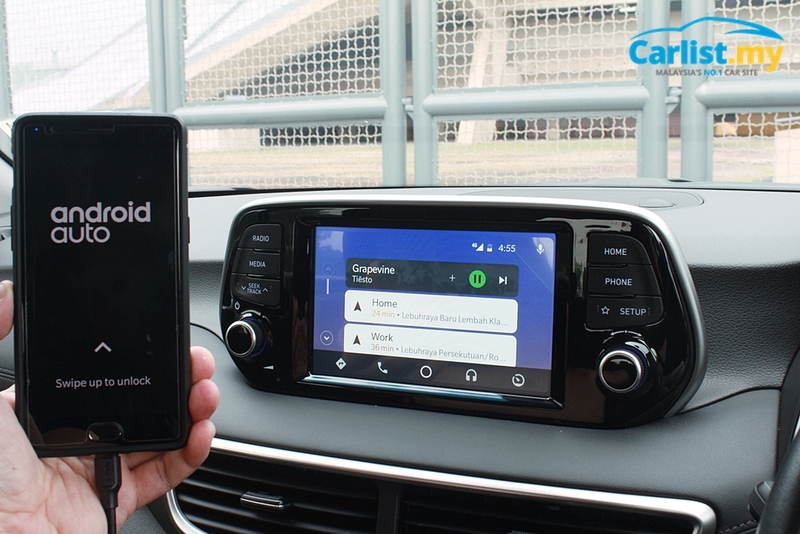 Maps and navigation are loaded within seconds, while music is played immediately through the Android Auto connection. No need for a SIM-card or apps for mirroring, as this is truly the best integration of key apps from our mobile phones into a vehicle. 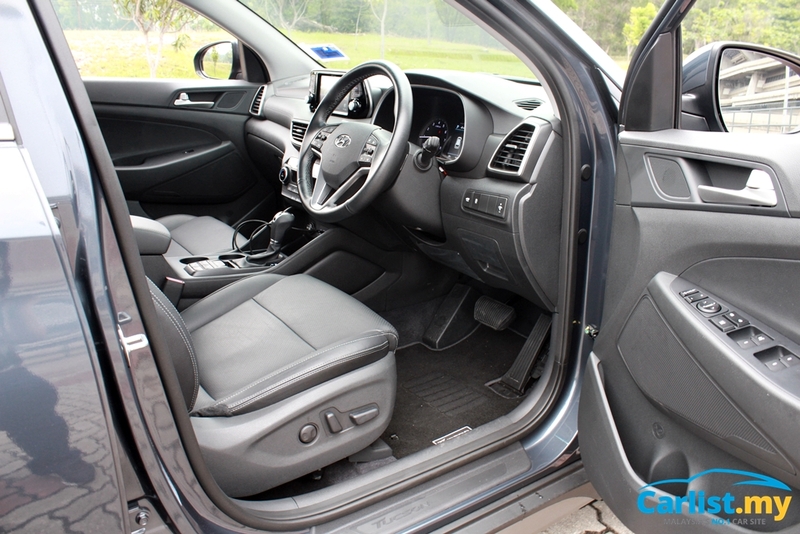 Another highlight in newer Hyundai models is the ‘stalk-position’ read-out. 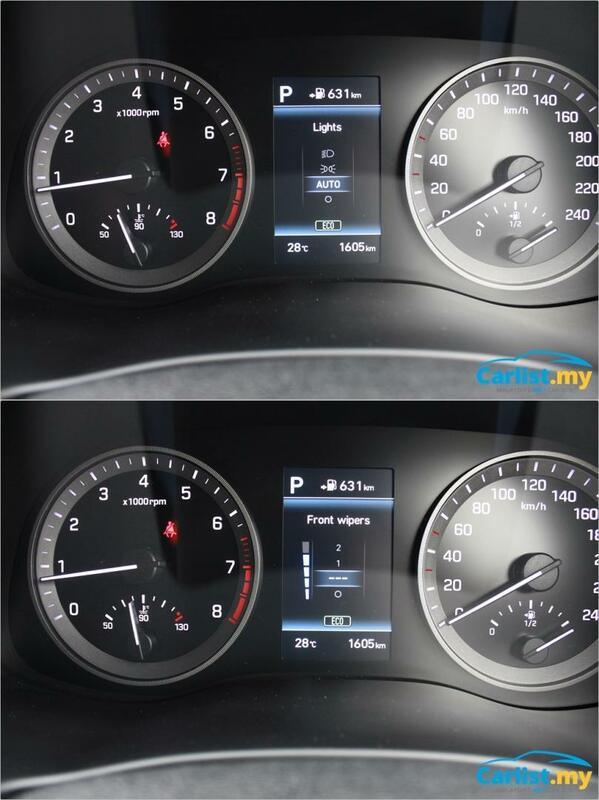 The coloured multi-information display (MID) will repeat the position of the lights and wiper stalks for better notification for the driver. This feature is especially appreciated during drives in the rain, with the information appearing in the MID rather than peeping over the steering wheel spoke. 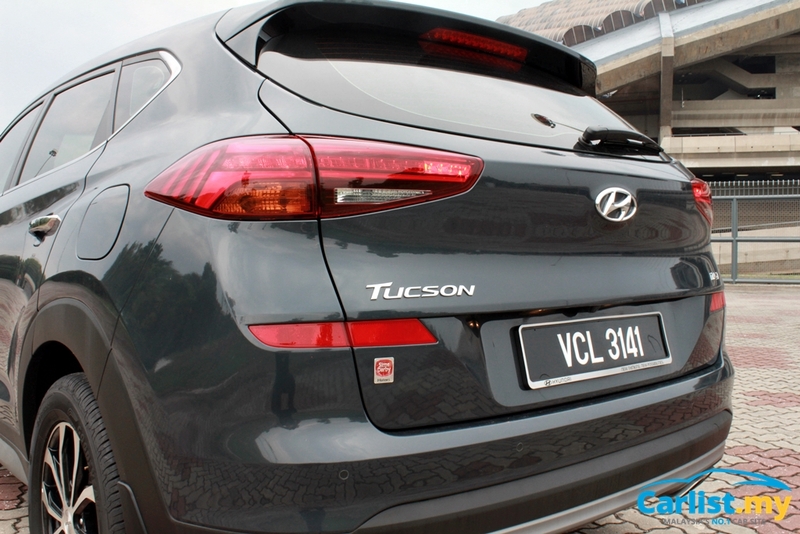 The Tucson Turbo continues to offer a familiar driving experience of an Asian SUV. Ride comfort is well sorted, with a good balance of comfort and some agility. The steering speed is sporty (turns in fast, well weighted, and responsive) to suit the great straight-line acceleration. However, it is still not as brilliantly tuned as the Toyota C-HR which seems to just ride with amazing comfort and yet handle the curvy bits of tarmac with so much enthusiasm. There is plenty of punch from the turbocharged engine and thanks to the drive mode and tyres, the Tucson Turbo is quite quiet on the highway. The dual-clutch transmission also performed incredibly well in start-stop traffic jams, enabling a smooth ‘creeping’ function. Switching the drive mode to ‘Sport’ brought plenty of engine noise into the cabin. 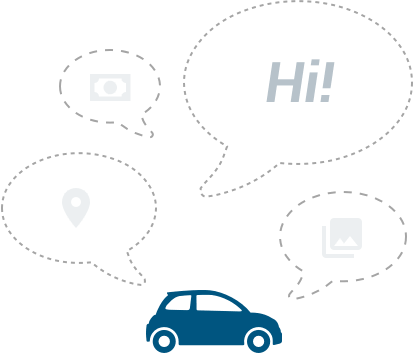 We are not sure if it is artificially augmented, but it’s a good reminder to the driver and passengers that everyone is in for a very spirited drive. For after-sales, the Hyundai Tucson continues to be covered by a three-year / 50,000 km free service package together with Hyundai’s five-year / 300,000 km warranty. During our period with the Tucson Turbo, just under 21 litres of the fuel was used over the 235-kilometre drive, thus returning an average of 8.9 litres per 100 kilometres. This figure places the Tucson Turbo one of the best we have achieved among our SUVs test drives. While the majority of the drive was done on arterial highways, we also spent a fair amount in the usual traffic congestion. 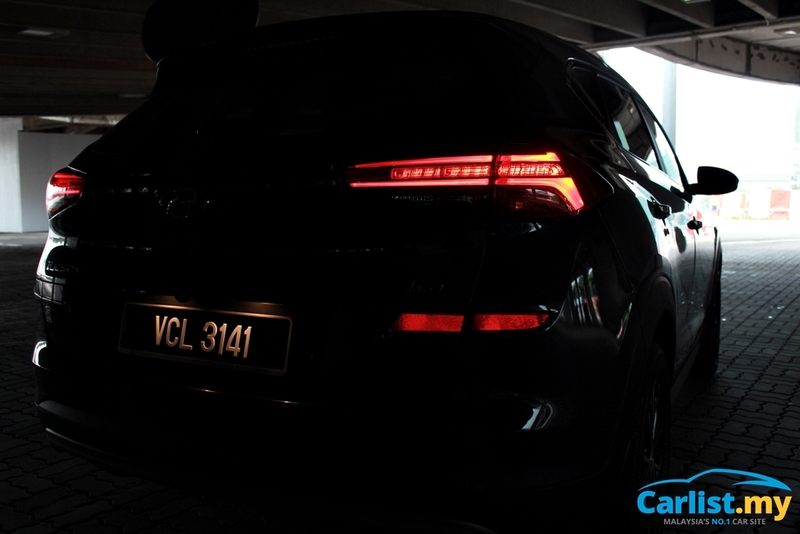 The ‘Eco’ mode also proved to be effective when conditions do not require such responsive performance from the turbocharged engine. A large fuel tank size of 62 litres also allows for fewer visits to the fuel station together with a further range in between. 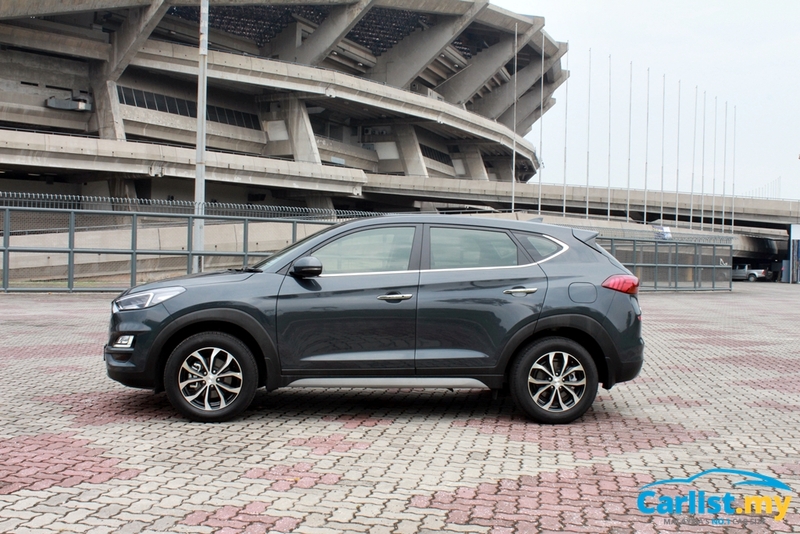 The exterior facelift has provided the Tucson Turbo with a much sharper look, with the reworked dashboard improving its perceived quality and overall cabin ambience. In the ever-growing SUV segment, the Tucson Turbo places itself as a solid left-field alternative for those who seek straight-line performance in a more contemporary package. Given how competitive this segment is, the addition of Advanced Driving Assistance features such autonomous emergency braking should have been offered as an option at this facelift phase for a more complete package to customers.